The eight required components of a transition IEP. As a best practice, YTP Transition Specialist should share YTP client progress notes electronically with their Vocation Rehabilitation Counselor (VRC) partners on a systematic and scheduled basis. Every 2 months would be a good schedule to consider. Language -- Who Hears What? A clear explanation of Pre-Employment Transition Services for students 14-21 prior to qualifying for Vocational Rehabilitation. This document includes the relationship between IDEA and WIOA, what Pre-ETS services look like, and how to request services. Person-centered planning is a process-oriented approach to empowering people with disability labels. It focuses on the people and their needs by putting them in charge of defining the direction for their lives, not on the systems that may or may not be available to serve them. This ultimately leads to greater inclusion as valued members of both community and society. Person-Centered activities (planning, tools approaches) assist people to express what is important to them, how they want to be supported, and how they want to live. YouthHood: This Web site was built to help you plan for the future. What will you do after high school? Will you work? Go to college? Live in a place of your own? By using this Web site, you can plan for your future right now! Finding a job can be a challenge for youth. They must determine what careers are available, what their interests are, and what skills they have or need to develop. Numerous resources listed on this site are available to help youth get a sense of their interest and skills as well as gain employment experience and learn about employment opportunities. This booklet discusses "how to go through the career exploration process"
Special Education staff within ODE has the primary responsibility for assuring that young children and students with disabilities receive an appropriate education program in the least restrictive environment. This happens through collaboration with families, districts, agencies, and programs to ensure quality services. Our website is a resource to parents, teachers and administrators and provides access to available information, documents and guidelines. Our mission is to promote and defend the rights of individuals with disabilities. FACT Oregon's Person-centered Planning page has templates for Person-centered Profile and sample Person-centered plans. NTACT/Transition Planning: Resources to guide Transition Planning from elementary into post-secondary. Includes guidance documents and frameworks. At TEN, we have the vision that each student who completes our program with have the skills and supports in place to be able to carry out an individualized, functional life plan. This document is a supplement to The 411 on Disability Disclosure: A Workbook for Youth with Disabilities , which helps youth learn about disability disclosure and what it means for them. Since that workbook was developed in 2005 there have been many advances in technology that have changed what youth need to know about disability disclosure. The College and Career Readiness and Success Center (CCRS Center) is dedicated to ensuring all students graduate high school ready for college and career success. The mission of the CCRS Center is to serve Regional Comprehensive Centers in building the capacity of states to effectively implement initiatives for college and career readiness and success. The mission of the Transition Coalition at the University of Kansas is to maximize professional development in secondary school reform and transition. 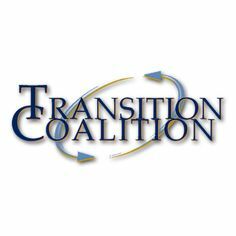 Transition Coalition site includes trainings, resources, products, presentations, assessment guide, and quality indicators. Oregon's Extended Assessments are alternate assessments designed specifically for students with the most significant cognitive disabilities. The decision to administer Oregon's Extended Assessment (the alternate assessment) can only be made by the student's IEP team -- including the parent. Secondary transition for students with disabilities page includes information about PSO training, transition conference, Transition Path to Adulthood folder, a transition guide and other resources. The following documents will assist school districts, students, parents, and others in planning for the next step after leaving high school. The National Center on Secondary Education and Transition (NCSET) was originally funded by the U.S. Department of Education's Office of Special Education Programs from 2000-2008, during which time it partnered with six major organizations also focused on the secondary education and transition of youth with disabilities. NCSET coordinated national resources, offered technical assistance, and disseminated information related to secondary education and transition for youth with disabilities in order to create opportunities for youth to achieve successful futures. Although NCSET is no longer funded through OSEP, we continue to disseminate resources via this website with support from the Institute on Community Integration in the University of Minnesota's College of Education and Human Development. Home page for the Oregon Health Plan. 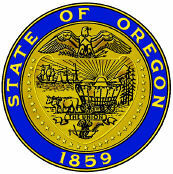 This page includes information about the Oregon Health Plan and Quick links to health care resources. The purpose of the YTP is to prepare students with disabilities for employment or career related post-secondary education or training through the provision of a comprehensive array of pre-employment transition services and supports. Swindell's Resource Center of Providence Child Center supports parents and caregivers of children who have special needs, developmental delays or disabilities. We provide resources, information and education to communities throughout Oregon and southwest Washington. The Arc Oregon, together with its network of members and affiliated chapters, advocates for the rights and full community participation of all children and adults with intellectual and developmental disabilities members of our community. The ChoiceMaker Curriculum is designed to teach students the self-determination skills needed to be successful in adult life. The ChoiceMaker Curriculum consists of three strands: (1) Choosing Goals, (2) Expressing Goals, and (3) Taking Action. Each strand addresses teaching objectives in three transition areas: Education, Employment, and Personal. Updated, February 2018 This page is designed to connect you with basic information about transition planning. We’ve included articles, guides, and online trainings designed for specific audiences, because we all process and use information from the vantage point of why we want to know and what we’re going to do with the info. For HIGH SCHOOL STUDENTS: Explore these topics for a more detailed look at the career development process and steps that are important for your high school age child. You will find practical ideas about ways you can support your child’s future. You will discover the possibilities for education and training after high school. And you will be able to get tips, checklists, activities, and other resources. PACER Center enhances the quality of life and expands opportunities for children, youth, and young adults with all disabilities and their families so each person can reach his or her highest potential. PACER operates on the principles of parents helping parents, supporting families, promoting a safe environment for all children, and working in collaboration with others. With assistance to individual families, workshops, materials for parents and professionals, and leadership in securing a free and appropriate public education for all children, PACER's work affects and encourages families in Minnesota and across the nation. National PTA, Special Education toolkit helps make sense of an often confusing system and educates families of newly diagnosed children with special needs on how to get the best special education, services and resources available to them. National Technical Assistance Center on Transition, Our purpose is to assist SEAs, LEAs, State VR Agencies, and other VR service providers to implement evidence-based and promising practices (EBPPs) to ensure students with disabilities, including those with significant disabilities, stay in school, progress in school and graduate with knowledge, skills and supports needed to succeed in post-secondary education and employment. Since 2000, the Rural Institute has focused several of our projects on customized community employment for youth with significant disabilities. We have developed and implemented unique models of transition planning that continue to evolve as we learn more from the youth and families with whom we work. We specialize in innovative training and technical assistance to ensure that people with intellectual and developmental disabilities are a vital part of the workforce. The purpose of Project Access is to establish, implement, and evaluate a multi-level interagency transition model in the state of Oregon. 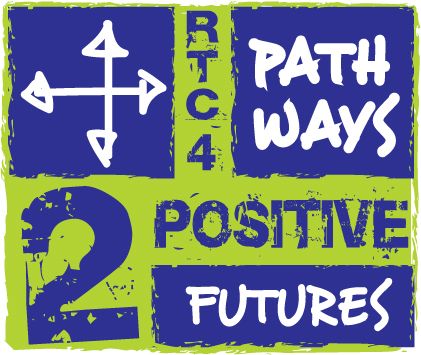 The overall goal of the project is to improve and extend transition services to a greater number of youth with disabilities through a model program that brings vocational rehabilitation counselors (VRC's) into high school settings. If a person becomes incapable of making decisions on their own about their medical treatment or everyday life, and their health or safety may be in danger, they may need someone to assist them. There are resources and the booklet Options in Oregon to Help Another Person Make Decisions give an overview of guardianship, conservator and other decision-making arrangements. The Oregon Career Information System (CIS) provides a system of occupational and educational information to help Oregonians learn about the world of work and education. We work with schools, colleges, social agencies, and businesses who provide career guidance and employee development services. The MOU vision is through strong agency collaboration, youth with disabilities will transition into competitive integrated employment or post-secondary education/training. On February 2, 2015, Oregon’s Executive Order No. 15-01 was signed by Governor Kate Brown. This Order addresses employment services for those who have intellectual or developmental disabilities, as well as services to transition-aged students with disabilities. All young adults who are deaf-blind need extensive transition planning and services in order to experience success in adult life. Transition Institutes have historically sought to bring together young adults and their families to build skills and provide training in the pursuit of better personal transition outcomes. The 2012 and 2015 Transition Institutes provided opportunities to capture interviews with youth, families, and service providers to share their perspectives on the experience of transition. Data is one of the most powerful tools to inform, engage, and create opportunities for students along their education journey—and it‘s much more than test scores. Data helps us make connections that lead to insights and improvements. Everyone has an important role to play in helping all students succeed in their own individualized ways. The Oregon Commission for the Blind works directly with individuals who are legally blind or likely to become legally blind in the near future to promote the confidence and skills necessary for successful employment. Our Youth Transition Services focuses on working with eligible students starting at 14 years, in order to successfully transition from high school to the workforce, college, or other post-secondary training. A glossary of acronyms commonly used in literature and services concerning special education and transition. Person-Centered Thinking and planning, placing the student at the “center” of their own planning activities for the future. Includes examples of student behaviors in the planning process. Requirements and guidelines for identifying other agencies (e.g. Vocational Rehabilitation, College-Disability Services, Independent Living Centers) that will be invited to send a representative to the IEP meeting. SWIFT, a 7-week residential program at Portland State University, gives youth a taste of the world of work and independent living. This fact sheet lists experiences students may have and eligibility requirements for the program. The form to use for summary of performance. It also includes directions, and compliance citation. A clear explanation of the Summary of Performance requirements, including tips to complete the SOP form.